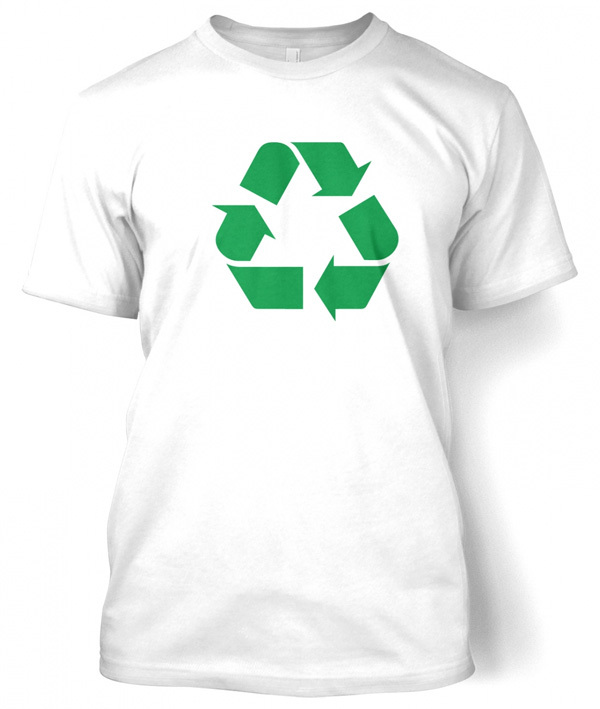 The traditional recycling symbol on this t-shirt is in green. If you are a fan of Big Bang Theory and Dr Sheldon Cooper's crazy t-shirts, you might remember him wearing a similar design on a white tee! The ultralight, Sheer Jersey version of our legendary (and most popular item) Fine Jersey Short Sleeve T-Shirt.